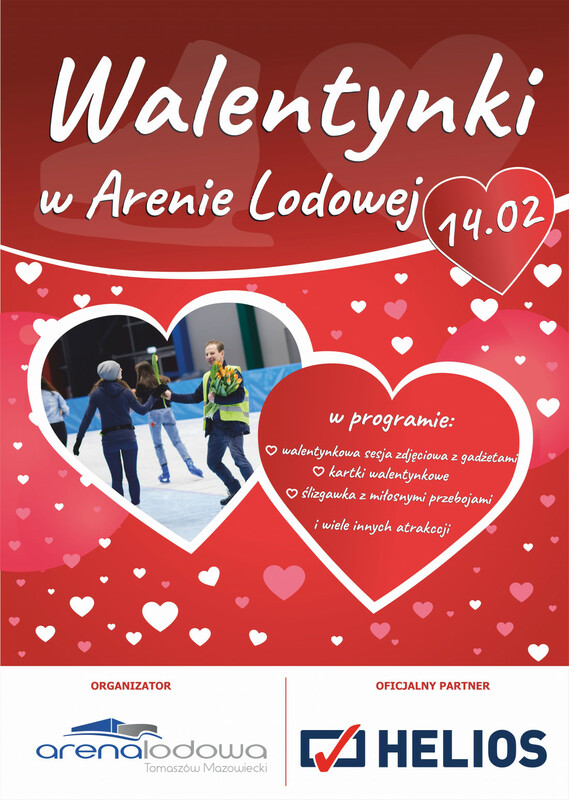 Arena Lodowa will be filled with love on Valentine's Day this thursday ! See what attractions are waiting for you on this day. Between February 13th and 14th everyone can leave a Valentine's Card addressed to a beloved person at the reception desk of the Arena. All of the cards will be read amongst "small bunch of people" during public ice rink at 6.00 PM ! Valentine's disco at 7.30 PM on the short track is awaiting all evening time skaters. Singin' Arena Lodowa - there will be a selection of love songs played during public ice rinks, skaters' task will be to guess the title and the artist - prizes are provided. We invite you to have fun together !